Between June 20 – 22 agriculture enthusiasts will have the opportunity to experience first-hand the latest innovations of the world’s most renowned companies of the agricultural industry during the second DLG International Field Days Ukraine in Doslidnytske (Kyiv region). The event started for the first time in 2017 and will now continue on a grander scale. 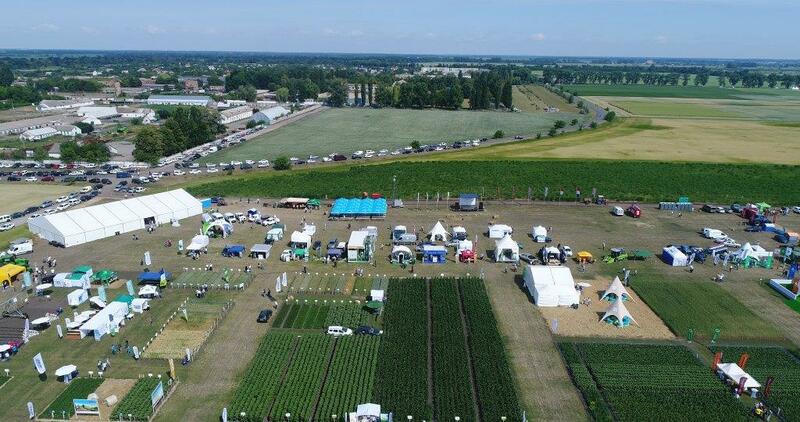 The special format of DLG Field Days allows spectators to directly compare the potential of various seeds on 40 trial fields as well as the performance of heavy agricultural machinery in live demonstrations. As for instance, ten of the world’s leading field sprayer manufacturers will display their products in a commented test drive. Another example is given by impressive harvester demonstrations. The event is accompanied by numerous seminars and conferences carried out by a multitude of seed, agrochemical and technical companies operating in the territory of Ukraine. All in all there will be around 300 machines and equipment exhibited by around a hundred companies and more than 400 new varieties and hybrids for the market of crop cultivation on about 11 hectares. Among the exhibitors are well-known manufacturers such as Danube Soybean, Bayer Ukraine, BTU Center, VNIS, Danube Agro, ICARAI, KVS-Ukraine, Limagrain Ukraine, Mayas, Nufarm Ukraine, RVA Ukraine, Stoler, Stefes, Struve Ukraine GMBH, Ukravrev Agro, Unifer, and SaatenUnion. Visitors will be able to choose the optimal system meeting their demands for plant protection, nutrition and technical supply as they evaluate the work efficiency, energy efficiency and environmental impact of the machines and material for soil cultivation, sowing, harvesting as well as feed preparation. As already mentioned, one of the highlight of the Field Days is the sprayer challenge. Agrifac, Amazone, Apache, Berthoud, Case IH, John Deere, Lemken, Horsch, Jacto and Maschio Gaspardo will give the audience the opportunity to compare booms, speed, efficiency and the general quality of the sprayers. During the discussion panel, the event’s participants will be able to ask numerous questions answered by executives from leading global companies, such as Dr. Lars Huf-Rühlemann, Deputy General Director of DLG International, Michael Horsch, Managing Director of HORSCH Maschinen GmbH, Karl-Hubertus Reher, Sales Director of LEMKEN GmbH & Co. KG (Germany), and Dirk Stratman, the spokesman for Ukraine of the German Agribusiness Alliance in the German Committee for East European Economic Relations and Managing Director of John Deere International GmbH. They are joined by numerous heads of Ukrainian representations of foreign and domestic companies that will be waiting for interested guests directly at their stands and demonstration areas. The technical partners of the exhibition are two familiar names, Maschio-Gaspardo and Zetor. All interested companies and organizations can submit their products and services at the International Field Days in Ukraine 2018″. For participation and cooperation, contact: Anna Khomenko, +49 170 797 66 57. More info on www.mdpu.com.ua, www.facebook.com/internationalfielddaysukraine.